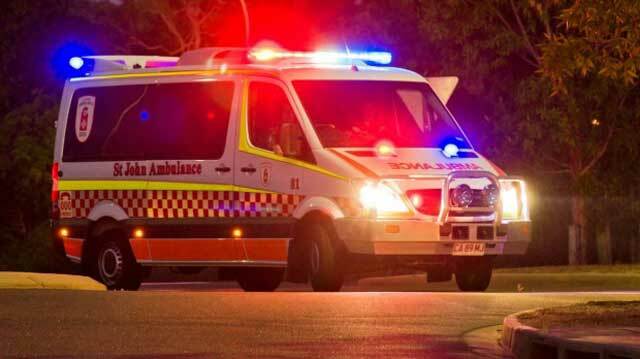 A woman in Australia's Northern Territory has been fined after two paramedics were hit with a half-eaten pork chop as they tried to convince her to stop sitting in the middle of the road. It's not clear why the 21-year-old was apparently eating the meat at 4.40am on an inner-city Darwin street. The paramedics were on their way back to the station from another job when they noticed the woman, apparently drunk, sitting in the road north-east of the city centre. St John's Ambulance Northern Territory operations manager Craig Garraway said they stopped the ambulance but the woman refused to budge. The paramedics were calling police to help when something sailed through the window, hitting one in the face and the other in the arm. "Now they didn't know what had happened at the time," Mr Garraway said. "They turned the light on and realised she'd thrown a pork chop through the window and hit both of them and fell to the floor." The paramedics then rolled up the window and drove off, leaving police to deal with the "quite abusive" woman. They arrived a short time afterwards and fined the woman for disorderly behaviour in a public place, which carries a $472 penalty. Both police and paramedics warned that assaulting a public officer was a serious crime but in this case Mr Garraway said the officers found the incident "very amusing in the end". "They're in good spirits and they think it's quite funny," he said. 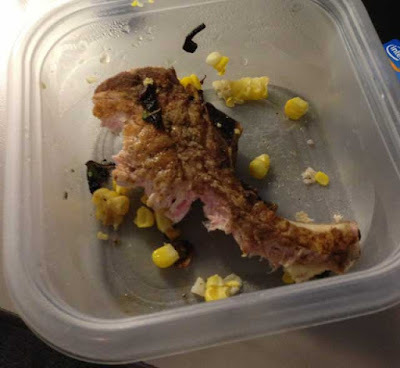 "These things unfortunately happen quite regularly, not so much pork chops being thrown. It was a waste of a pork chop, and I suppose the question is, where do you get a pork chop at four o'clock in the morning?" Mr Garraway added.